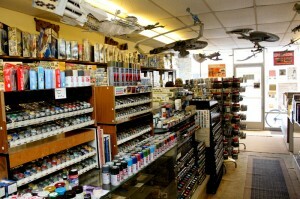 In this age of videogames and electronic gizmos, there is something comforting about a place like Viking Hobby. 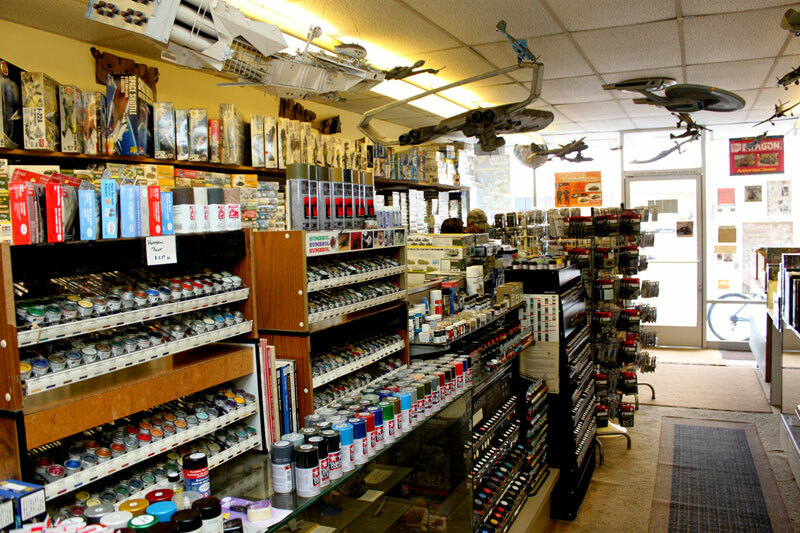 Located in the same location for the past 35 years, Viking Hobby is a small store, but every square inch of wall space is filled with board and role-playing games, models, books and magazines and all sorts of accessories. The board game selection at Viking is more than impressive, filled with about 300 titles one would be hard-pressed to find at even your biggest chain shops. There is something for everyone: easy-to-learn family games, two-player strategy titles to keep the brain working and excellent party games for young and old alike. The proprietors, Ken & Jessica Mosbaugh, are the original owners and if you let them know what your interests are, they will always point you in the right direction. All of their games are always 10% off the listed price, which is a bonus for cash-strapped gift givers. A few hot game titles right now are Caressone ($29.95) a clever tile-laying game for ages 8 and up that has several expansion packs to keep the game ever evolving; the innovative strategy game, Dominant Species, for two to six players and the family card game 7 Wonders ($49.95), which won a slew of awards when it was released last year – perfect for those aged 10 and up. The selection of models is impressive, with the out-of-print and hard-to-find sharing space with the hot new releases, at all skill levels from snap-together for the beginner to scarily accurate replicas for the advanced modeler. There are also lots of books on subjects like military battles, armor, big ships and Colonial times which will make the models and military strategy games come to life.